Golden Ocala Golf & Equestrian Club is a place like no other in Central Florida. The community is nestled in a tranquil piece of paradise. Upon entering the majestic gates, you are greeted by the splendor of majestic Oak trees and lush rolling hills leading to elegant estates and a host of luxurious amenities. The stately Golden Ocala Clubhouse is in the center of the exclusive community surrounded by the championship 18-hole golf course and practice areas. The Fitness Center, Tennis Club, Spa and Pool are located in the shadow of the Clubhouse which affords easy access for members to enjoy. Horse lovers are also at home here with an elite equestrian area including barns, an outdoor training arena and a network of riding trails. Experience all that makes Golden Ocala Golf & Equestrian Club unique. Golfers tee-off on the championship 18-hole golf course designed by Ron Garl. The course features eight tribute holes to some the world’s finest golf courses including Augusta National, Royal Troon, Baltusrol, Muirfield and St. Andrews. Spend time improving your game on the 6-acre short game area, two practice holes and a driving range. Visit the Golf Shop to find the latest trends in golf clubs and stylish attire. Golden Ocala Golf & Equestrian Club is ideally situated in Central Florida, the Horse Capital of the World and is adjacent to World Equestrian Center Ocala. The property, with beautiful rolling hills and majestic oak trees, includes a network of riding trails leading to the state-of-the-art Equestrian Center. Golden Ocala resident members can rent four to eight stall barn suites, featuring a tack room and office space. 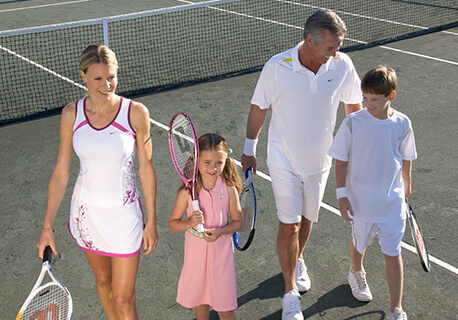 The mild climate of Central Florida makes it perfect to hit the tennis courts year round. The Golden Ocala Tennis Club features six Har-Tru Hydro Grid courts, the finest clay surface available for day and night play. Members have a variety of options for playing tennis from taking lessons, group clinics, USTA, social events, interclubs and tournaments. Our highly trained professional staff will ensure a program that is customized to your liking to ensure your very best member experience. The Golden Ocala Fitness Center offers a wide range of exercise options to motivate members to meet their personal fitness goals. The professional fitness trainers can customize a program or suggest classes for cardiovascular and strength training. 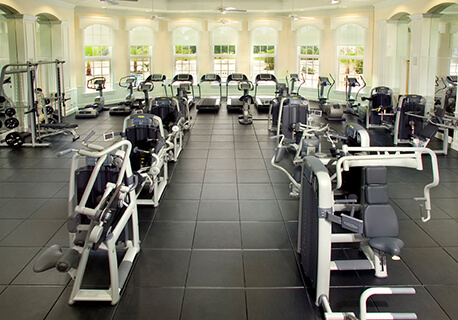 The Fitness Center is outfitted with Technogym, the finest Italian exercise equipment used by Olympic athletes. Discover a new level of cardio training with Cardio Wave to accelerate results in endurance, strength and coordination. The Spa at Golden Ocala is the ideal setting for luxury living indulgence. The relaxation garden and treatment rooms are designed for pampering and rejuvenation of your body and soul. Enjoy a facial, take advantage of the salon for a new hairstyle or schedule a soothing massage. Call today to schedule your Spa experience. Just relax and we will take care of the rest. Dining is a signature here at Golden Ocala. 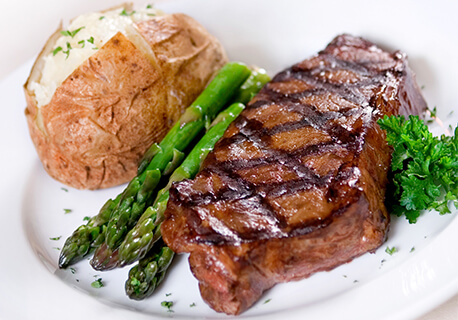 Our chef and culinary staff strive to create tantalizing meals to tempt your taste buds. The club’s three signature restaurants offer daily lunch and dinner menus to satisfy your appetite. 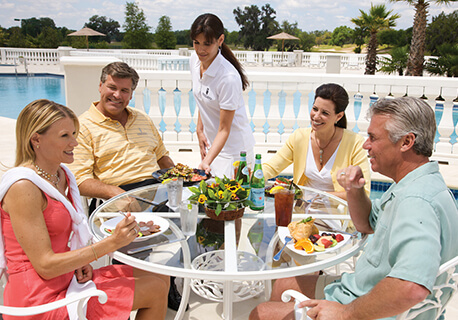 In addition to traditional dining options, Golden Ocala is able to accommodate every need for life’s special moments. Enjoy a romantic meal or relax and join friends for dinner. Bon appetit! Golden Ocala Golf & Equestrian Club features several unique neighborhoods, designed to offer distinctive and exclusive options for homeowners. Golden Ocala is the pinnacle of luxury living. 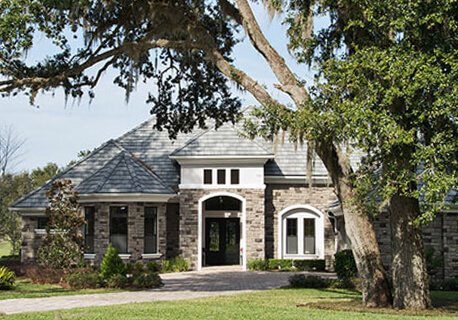 The builders who have partnered with Golden Ocala are focused on designing high quality, custom homes to suit the needs of each client. Make the decision to call Golden Ocala home. Visit our sales office to view available homesites and connect with a builder. 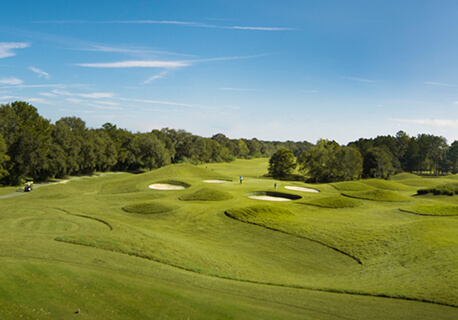 Golden Ocala Golf & Equestrian Club offers several memberships that fit your lifestyle. We provide all-inclusive benefits for both residents and non-residents. Golden Ocala has a variety of active and relaxed lifestyle memberships to make you feel right at home. Attention to detail for all things excellent is what sets Golden Ocala Golf & Equestrian Club apart. There is simply no luxury living comparison. It is rare to find magnificent homes, championship golf course, elite equestrian facilities, top level tennis and other amenities all in one community. 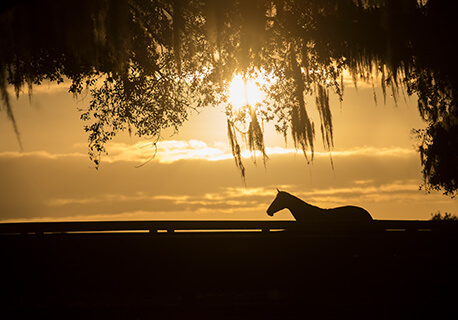 Golden Ocala enjoys close proximity to areas of interest in Central Florida from beaches on both coasts; theme parks and national equine events, including the adjacent World Equestrian Center Ocala. Every aspect of a private lifestyle in an upscale, friendly atmosphere has been taken into account to welcome members and their guests. The owners’ commitment and investment to Golden Ocala is truly unparalleled.